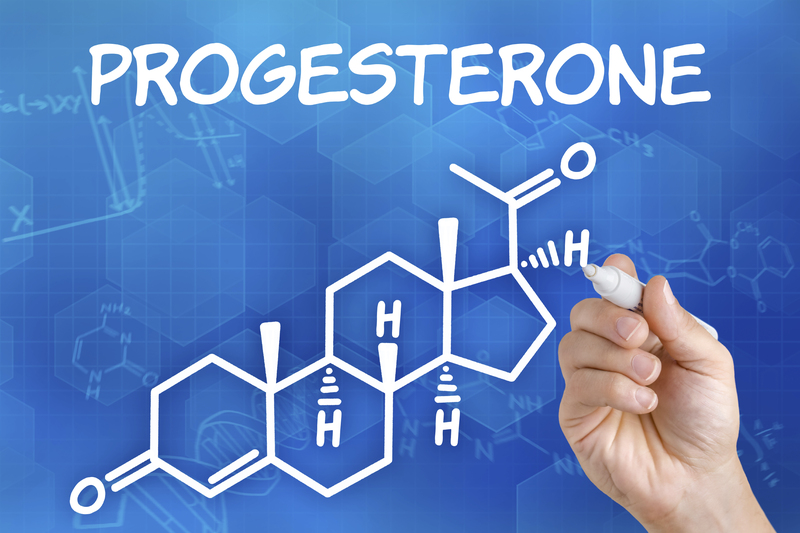 While the hormone, “estrogen” is most often associated with female reproduction and sexual characteristics; progesterone plays a critical role in the regulation of several important functions in menstruation, conception, and pregnancy as well. 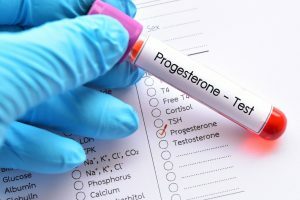 Progesterone is a hormone produced primarily in the ovaries, but also in smaller quantities by the adrenal glands, and in the placenta of pregnant women. The hormone helps regulate menstruation, prepares the body for pregnancy, and aids in nourishing the uterine environment to support implantation of the fertilized egg, as well as growth of the placenta. Progesterone levels may be monitored through simple blood serum testing if necessary. If the egg has not been fertilized and a woman does not become pregnant, progesterone levels decrease. This signals the release of the uterine lining and the beginning of menstruation. Elevated levels of progesterone throughout the menstrual cycle may contribute to premenstrual syndrome and symptoms such as breast tenderness, mood swings, and feelings of being bloated. Once ovulation occurs progesterone causes the uterine lining to secrete proteins that will help prepare it to accept a fertilized egg and nourish it during pregnancy. It also prevents uterine contractions that would naturally expel the egg and not allow for implantation. Once pregnancy occurs progesterone levels remain high throughout the entire pregnancy. At about the second trimester, the placenta begins to produce progesterone in place of the ovaries. High estrogen and progesterone levels restrict ovulation during pregnancy. Very high progesterone levels could indicate multiple births, such as twins or triplets. Doctors may prescribe progesterone to patients undergoing In Vitro Fertilization to supplement lower hormone levels caused by medication. Progesterone helps build breast tissue and supports the growth of glands that produce milk in the breasts during pregnancy. 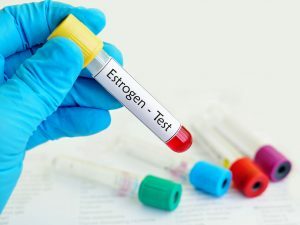 While progesterone levels naturally rise prior to menstruation, it may also be possible to get progesterone supplementation through hormone replacement therapy at the time of menopause. Therapies may come in the form of topical gels, pills, creams, vaginal inserts, or oils. According to the American Cancer Society, women who use estrogen progesterone therapy for hormone replacement during menopause are at a higher risk for certain cancers than women who do not. Treatment options for menopausal women suffering from uncomfortable or debilitating symptoms may include hormone replacement therapy. 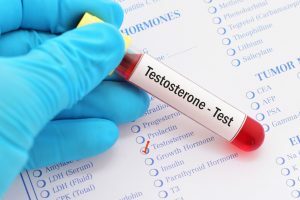 Although progesterone treatments have been available since the 1950’s, bioidentical therapies developed more recently refer to those that closely mimic the body’s own hormones. 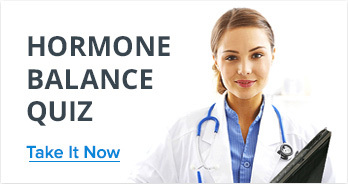 In order to help correct a hormone imbalance that occurs when hormone levels fluctuate, bioidentical progesterone may be taken for symptoms such as, hot flashes, night sweats, sleep difficulties, and osteoporosis. The critical role that progesterone plays throughout a woman’s life (whether she becomes pregnant or not) is an important one. 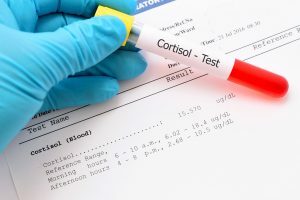 Understanding the ways that hormones work together to regulate the many functions of the body, as well as symptoms of hormonal imbalances, can help individuals choose the treatment therapy right for them. 1 Hospital, S.V. (2014a) Education. Available at: http://www.stvincenthospital.com/connect-with-us/education/health-library/education/progesterone (Accessed: 28 June 2016). 2 ASRM, 2016 (1996) ASRM patient fact sheet: Progesterone Supplementation during in vitro fertilization (IVF) cycles. Available at: https://www.asrm.org/FACTSHEET_Progesterone_Supplementation_During_IVF_Cycles/ (Accessed: 28 June 2016). 3 Institute, N. and Aging (2011) Hormones and menopause. Available at: https://www.nia.nih.gov/health/publication/hormones-and-menopause (Accessed: 28 June 2016). 4 Center and Evaluation, D. (2016) Questions and answers for estrogen and estrogen with Progestin therapies for Postmenopausal women (updated). Available at: http://www.fda.gov/Drugs/DrugSafety/InformationbyDrugClass/ucm135339.htm (Accessed: 28 June 2016). 5 cid _prod (2014) Menopausal hormone therapy and cancer risk. Available at: http://www.cancer.org/cancer/cancercauses/othercarcinogens/medicaltreatments/menopausal-hormone-replacement-therapy-and-cancer-risk (Accessed: 28 June 2016). 6 Centre, T., Cycle, M. and Research, O. (2014) Progesterone therapy for menopause. Available at: http://www.cemcor.ubc.ca/resources/progesterone-therapy-menopause (Accessed: 28 June 2016).